Home Awards Babes Wodumo Rant SAMAs Was Babes Wedumo Robbed at the #SAMA23? Was Babes Wedumo Robbed at the #SAMA23? The South African Music Awards were handed out in Sun City on Friday and Saturday. 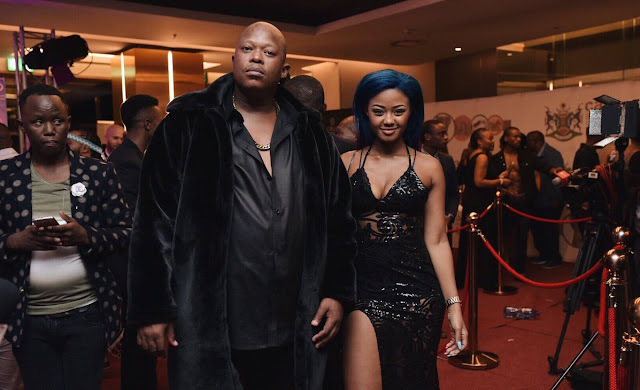 Newcomer Babes Wedumo unfortunately didn't take home any gongs —a repeat of what happened at the Metro FM Music Awards earlier this year, she was not happy about it and let everyone know. First I wanna prefix this post but stating that; the awards system by its nature is like democracy — while good for the most parts, it is also a very flawed and subjective system that will always not appease everyone. Be it, the Grammys, The Oscars or our very own awards programmes in South Africa, someone will always feel they deserved to recognised when they aren't. That said, Babes Wedumo and her camp just need to chill. First of all for someone who has only had one hit and an album that did not live up to the hype of said one hit, she is just expecting a little too much too soon. While I understand her frustration and will acknowledge that perhaps there is something to be said about how awards are allocated in this country, Babes is a little too fresh in the game to expect that the whole industry has to bow to her will. What Babes, and by her extension her hubby Mampintsha, fail to understand is that getting rewarded for your work is not something that you ought to demand or expect all the time. Artists of all disciplines of the industry are not supposed to be motivated by awards to put out good material. Your only motivation and drive to create your work should be excellence and connecting with your fan base. 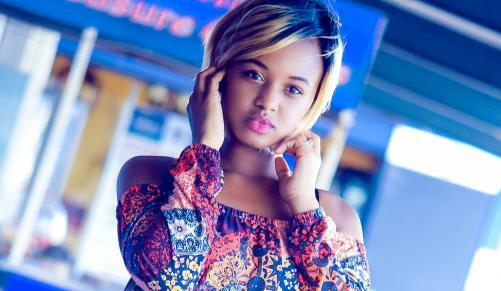 In a video the "Wololo" singer put out after the ceremony, she laments that her song 'was trending everywhere all year, no artist experienced the same and she was even nominated for BET and still walked away with not even a single gong"
And there in lies the problem. Why does Babes think she was the only one who had a hit song all year? But what bothers me with her statement is her assertion that just because she was nominated for a BET awards that somehow means she ought to be ordain as the Queen here at home. Basically what I glean is being inferred by pulling this "I was nominated for a BET" is that we should judge excellence in SA by what Americans think is the best. Isn't that in and of itself problematic and reinforces the warped notion that people abroad know what's best for us? Isn't that what we always rebuke — that we do not need to be praised by Americans to be validated for our work? The pressing issue for me however, is how we as South Africans have put ourselves in hole by coronating people before they have actually built a body of work. We have a penchant to name people Queens and Kings out of just a few acts of brilliance before they can even build a body of work that would warrant such reverence. Tom Cruise is the the highest grossing movie star of our time and he is yet to win an Oscar. Leonardo DiCaprio is one of the most celebrated actors of our generation and for over a decade had the highest grossing film, Titanic, under his belt and also had some critically acclaimed performances to his name but he only got to win his first Oscar last year. But alas, Babes with just one hit song thinks she should be decorated for it. In 2012, Korean pop star Psy, released "Gangnam Style". It peaked at number 12 on the Billboard 100 and topped the charts in Canada, UK and Australia. The song's music video has been viewed over 2.8 billion times on YouTube, an all time. In September 2012, it was recognized by Guinness World Records as the most "liked" video on YouTube. The song and its dance became a pop culture phenomenon with even Barack Obama getting in on the craze. Yet you never heard Psy complain that he was not even nominated for a Grammy. So, by Babes and Mampintsha's standards only songs like Silento's "Whip/Nae Nae" and Desiigner's "Panda" should win awards ... I mean by all measure they were "trending everywhere". Another interesting thing is that; much like abroad, people campaign for awards once they have been nominated. It's been a tradition for the system since the infant stages of Hollywood and world performing arts gaining mainstream dominance. Instead of campaign for her nomination, Babes was going around threatening the SAMAs. She has been quoted as saying if she doesn't win she would not be entering any awards contest moving forward. You can't not play the game and complain when you lose. Artists like Babes, ought to make up their minds. If you want to be playing this awards game, are you prepared to do what it takes to win or are you just gonna sulk the whole time and expect that the red carpet will be rolled out for you simply because YOU believe you deserve it. If Babes, again with just one hit on her catalog and a relatively one year old career in this business, wants to go against the industry and shun the machines that keep artists like her on the platform, then good luck with that lady. Cassper Nyovest and AKA are on another level. For them, not participating in the local awards scene is something that may not hurt their bottom-line right now but big as she thinks she is, Babes is not one of those guys and has no control over her career trajectory like they do ... yet. So much to say but this post is getting too long so let me end in this by saying this; To all the newcomers in this industry, stop believing too much in the hype because that is what will cut your careers short. Never let emotions and false expectation created by said hype undercut your potential for greatness. Your song or tv show trending does not mean it is the only best thing out there or even the best artistic offering your will ever have. Perception, especial one cultivated from social media, is absolutely not reality. Let the work speak for itself and chill, your turn will come. Stop expecting too much too soon, you may just burn out too quickly too. Babes Wedumo, should take this as something to motivate her to build herself up as an all round artist. She should take it in her stride and see it for what it could be ... maybe there is no conspiracy against her. Maybe people are trying to help her build a solid career before giving her awards so that she doesn't get too big headed, lose the focus and burn out as quickly as she gained the fame. Babes should just let her fans handle the complaining about awards for her. She is a star and it makes her look petty. Get those gigs and keep putting out hits! You have a long career ahead of you to win many awards.